At WLBC, we don't just strive for numbers but we strive to reach those children that don't know Jesus Christ as their personal Lord and Savior. For many that attend VBS, this time of the year is the only time they attend church or hear about Jesus. Our purpose is to teach about sin, what it is and how to overcome it. Scripture says that all have sinned and fall short of the glory of God; the Holy Spirit will convict a person of sin. It is God's desire for all VBS workers to come together and convey the Gospel using fun themes and tying them in with God's word. For instance, the theme for 2016 is "SUBMERGED, finding truth below the surface. By going deep below the surface of the sea we see through the portholes the beautiful things God has made such as colorful coral, stunning marine life, unfamiliar sea creatures. Things look different once you get below the surface and that is true for life above the surface as well. As kids are submerged in God's Word, they will discover that Jesus sees people differently. He doesn't just see what is on the outside, He sees what is on the inside. As kids learn to see themselves and others as Jesus sees, them, they can realize that everyone needs a Savior. WLBC VBS meets in the evenings for 1 (one) week in the summer. It begins with an evening meal at 5:30 with VBS commencing at 6:30 with rotations in worship rally, Bible study, crafts, music, recreation, missions study and winding down at 9:00 PM in the sanctuary. We look forward to having you and or your child/children join us for VBS. 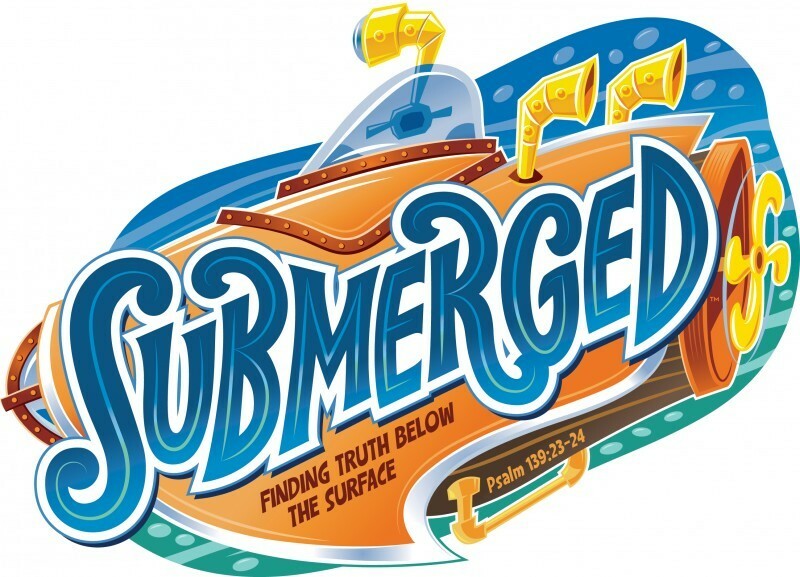 VBS for 2016 will be the week of July 11-16. WLBC has classes for all ages.